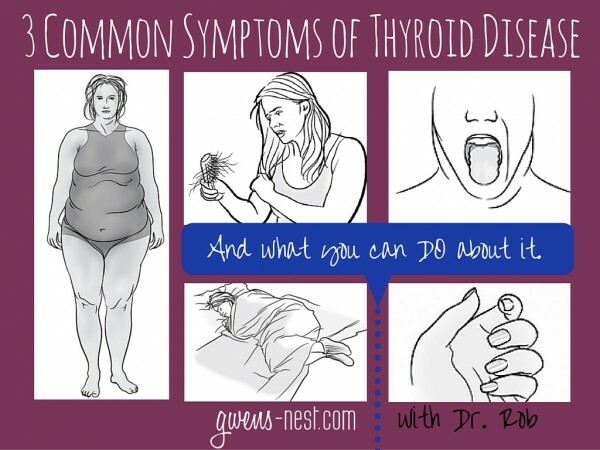 Do you have common symptoms of thyroid disease, but your lab tests are normal? You won’t want to miss today’s post by my holistic doctor, Dr. Rob. You met Dr. Rob here on the blog a few weeks ago, and last week, he blew my mind with his insight on the REAL causes of adrenal fatigue. You can read about my recovery and experience of working with Dr. Rob on the adrenal fatigue post. This week, he’s back to talk about another VERY common and VERY perplexing health condition: thyroid dysfunction. I’m going to let him do all of the talking this week. Please stick around to comment with questions at the end, and if you love this post, pin or share it! Full disclosure: I’m not being compensated for sharing this great info with you guys- I just want you to have access to it, and to be able to learn from and ask Dr. Rob questions like I’ve been able to. Photos shared compliments of Dr. Rob and thanks to Dr. Eric Berg for the use of the Thyroid Body Type Photo. Over to you, Dr. Rob…what do we need to understand about the common symptoms of thyroid disease? Are you feeling tired, depressed or experiencing mood swings? Are you struggling to lose weight? Are your periods heavy or irregular? Having trouble starting tasks or completing tasks? Can you not remember the last time you just plain felt great? If you answered “yes” to any of these questions, then you might have low thyroid function, also known as hypothyroidism. In just a little bit I’ll cover some of the MAIN SIGNS that you have a thyroid problem EVEN if your labs are normal. Believe it or not, this condition is not rare. In fact, it’s the most common hormonal problem in the world, affecting more than 20 million Americans. 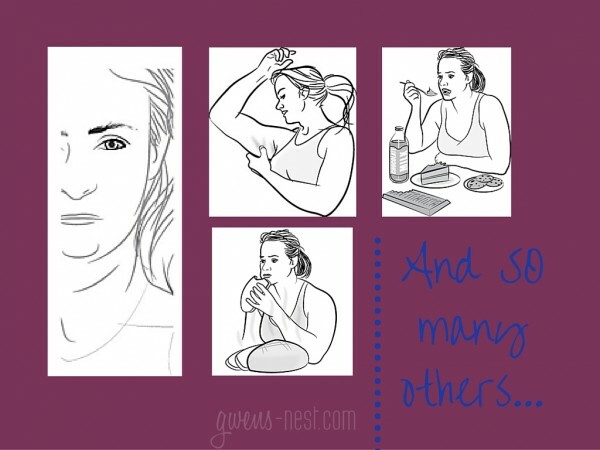 So you’d think everyone suffering from hypothyroidism would know all about it, right? Wrong! Many people don’t even realize that thyroid dysfunction is what’s causing their unpleasant symptoms, so they continue to suffer unnecessarily with a condition that CAN BE HELPED. Melanie had some of the below thyroid symptoms and was eventually diagnosed with and underactive thyroid by her Medical Doctor. Luckily we found that she had a particular toxin interfering with her thyroid function. Once we got her on the correct detox and thyroid support program her body healed her thyroid gland and she never needed to go on the meds. I’ve included a few more before and after cases below. What if Your Thyroid Tests are “Normal”? That is why it’s extremely important to find a practitioner who doesn’t just look at basic lab work and use conventional drug therapies to help a person with low thyroid function. A thyroid problem isn’t just a thyroid problem – it’s an entire body problem. So What’s Causing These Symptoms? When we say it’s an “entire body problem” we simply mean there are many things that can go wrong in the body that can cause the thyroid gland to malfunction. Below is a video covering only one of over 40 different things that can go wrong and cause stress to your thyroid gland. Here’s just ONE cause of thyroid malfunction that holistic practitioners have discovered. 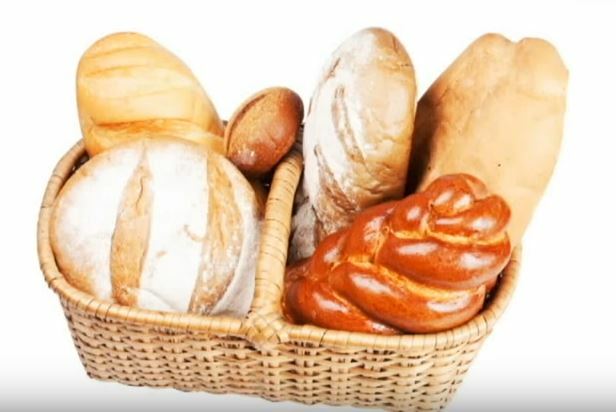 It started with changes in America’s bakeries in the 1970’s. Bromine, a natural mineral, was added to flour and thus to all commercially produced baked goods and even most brands of flour since that time. You can also find brominated vegetable oils in drinks like Mountain Dew. The problem with this is, that bromine is chemically similar to iodine. 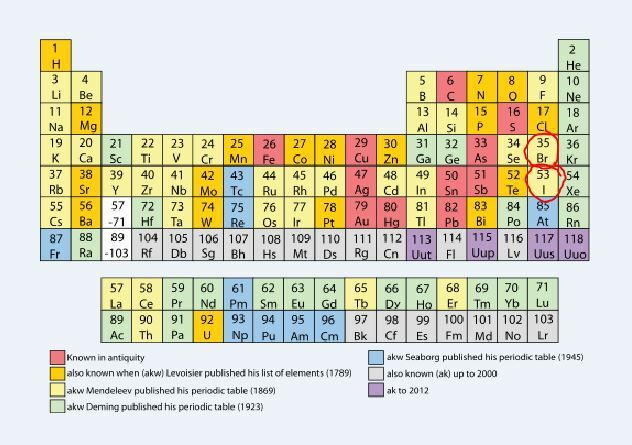 In fact, they’re so similar, they’re right next to one another here on the periodic table of the elements. Iodine is a necessary mineral that the thyroid needs to function- in fact, the thyroid gland is covered with iodine receptors. The iodine plugs into these receptors and helps the thyroid to function properly. Much like a key opens a lock in a door. 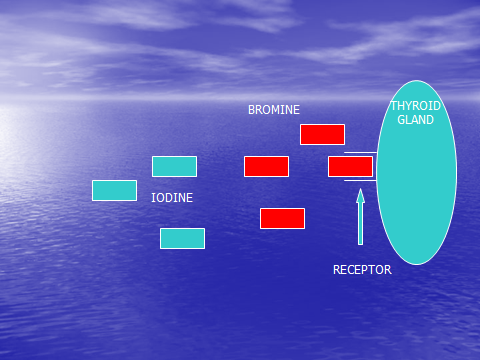 When a person has a lot of bromine in their system, the bromine plugs these receptors similar to using the wrong key in a lock- and blocks the iodine from reaching the thyroid. Because the thyroid is unable to get the iodine it needs, you begin to see symptoms of low thyroid function. Did you know that exercise itself doesn’t cause weight loss? Instead, exercise triggers hormones that cause you to lose weight by boosting your metabolism and helping you to lose fat instead of storing it. The thyroid hormone thyroxine is one of those that help us lose fat. If you are having trouble losing weight despite putting in an effort, it may very well be a sign of an underactive thyroid. Being tired and/or not sleeping well. Thyroid imbalances, along with adrenal gland imbalances, are a major cause of fatigue. The thyroid gland and adrenal gland (a gland located on top of your kidneys) work hand-in-hand to support your energy levels. Therefore, it’s important to understand exactly how they are functioning. In our clinic, we help many patients who are suffering from thyroid and adrenal problems that are at the root of their ongoing fatigue. Depression, mood swings, brain fog, and lack of motivation. An underactive thyroid reduces the speed at which your body functions. Basically, low thyroid hormones = low energy. This often leads to inactivity, weight gain, depression, a feeling that you can’t think clearly and lack of motivation to start or complete tasks. When you do not have adequate levels of thyroid hormones, oftentimes you stop feeling alive. And MORE…even poor digestion/constipation, sinus or allergy problems, heavy menstrual periods, headaches/migraines, low body temperature, decreased libido, heart palpitations, blood sugar spikes, aches/pains, and even thinning hair, dry skin, cold hands/feet and brittle nails. Mainstream medical lab testing normally assesses thyroid function by testing levels of Thyroid Stimulating Hormone (TSH), which is actually a hormone secreted by the pituitary gland. While it can sometimes detect some problems with the thyroid, it is not really looking at the thyroid function at all, but at a pituitary hormone that triggers the thyroid. However, there are some big problems with what’s considered “normal” lab results. For one, the standard normal lab range for TSH is .45-4.5 mIU/L, a range that is simply too large. We find there is a big difference from how a patient who tests at 4.2 mIU/L feels when compared to a patient who tests at 2.4 mIU/L. If you happen to get a practitioner who is more aware of thyroid hormones, you may get testing for a few of the thyroid hormone markers: T4, Free T4, T3, Free T3 as well as TSH. This looks at the actual thyroid hormones in the active stage, as well as pre-activation and post-activation. So this gives a better picture, but it’s just not enough. Most primary care physicians look at T4 levels because they treat low thyroid function with this form of the hormone. The problem is T4 is not very active and needs to be converted to the more active form of thyroid hormone called T3 to have a meaningful effect on your metabolism and the way your body feels. 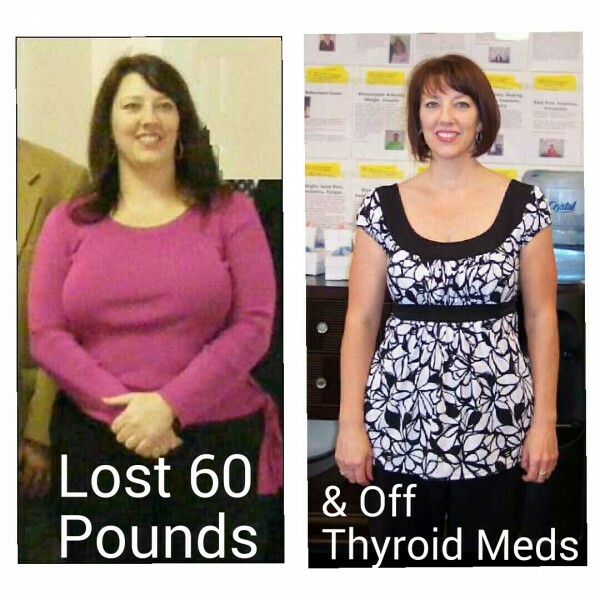 Did you know that 95 percent of prescription thyroid medications (including Levothyroxine, Levoxyl, Synthroid, etc.) are made of synthetic T4? There are many things that can block the conversion of T4 to T3 in the body and more importantly, there are problems in the body that can prevent T3 from working properly–like the bromine I mentioned above. You might have great TSH, T3 and T4 levels in the blood but if the hormones can’t work properly in the body you are still going to have thyroid symptoms. It’s like having a car that looks beautiful with a polished exterior and beautiful interior but doesn’t work right. Just because it is there and you can see it doesn’t mean it’s going to function. You can have beautiful levels of thyroid hormone but if the hormones don’t work right in the body then you are probably going to have trouble losing weight and not feeling well. There are many things that can go wrong in the body that can stop the thyroid from working properly. The Online Health Evaluation that we offer here at Alternacare can help to determine where you should begin looking to help your body heal and find the cause to the thyroid problem. The typical treatment for Hashimoto’s is prescribing the patient a synthetic thyroid hormone (Levothyroxine, Synthroid, etc.). When you add synthetic thyroid hormone to the body the thyroid could stop the production of its natural hormones, and as a result, the thyroid gland will shut down its own hormone production. The problem is this treatment does NOTHING to address the cause. Instead, the autoimmune disease continues to progress and leads to more and more health problems. The reason why we have such great success with Thyroid conditions is because the holistic lab testing that we’ve developed helps to identify the underlying cause to the thyroid problem. As you can see, there are some very big problems with the current standard medical approaches to both testing for and treating hypothyroidism. But there’s hope with a holistic approach to thyroid health! Here are several of the patients that I’ve seen who have successfully recovered their health after significant thyroid problems. I’m off medication for hypothyroidism! 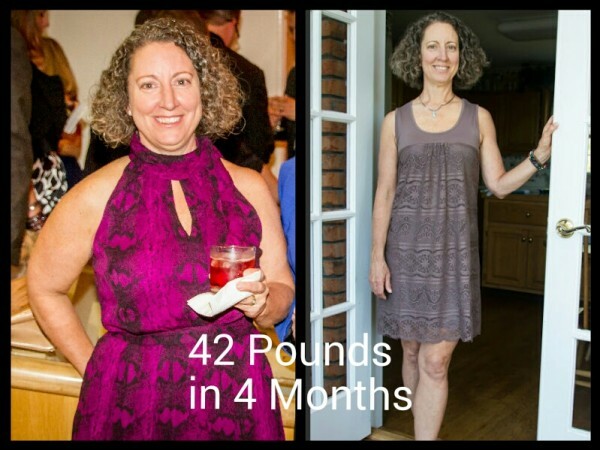 I lost 42 pounds, my energy has returned, and I sleep better!!! 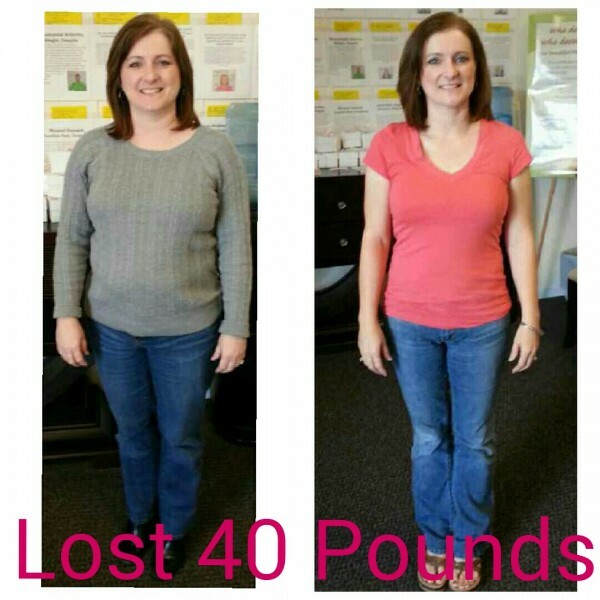 ~Cindy C.
I lost 40 pounds! I’m off my thyroid medication and I have my energy back!!! ~Amy R.
Many people ask what they can do, because they have these common symptoms of thyroid disease, but their doctor dismisses it, or doesn’t know how to help. I’m a little biased, but I believe a doctor that understands the traditional and holistic lab procedures and most importantly understand the 40+ different causes to thyroid problems is the right place to start. I have patients that live in 30+ other states and 14 other countries. The way it works is this: we do a very, very comprehensive consultation with a patient and they fill out a health survey as well. That gives us a pretty good clue as to which one of the 40+ things that can cause thyroid dysfunction the person is dealing with. We then will recommend labs that will help to confirm our suspicions and narrow in on the potential underlying cause to the thyroid stress. A simple lab kit is sent to their home and they follow the simple instructions and complete the lab from the comfort of their own home. Once they send the lab kit in and their samples get analyzed, we have more of an understanding as to what is wrong with their body and where their symptoms are coming from. 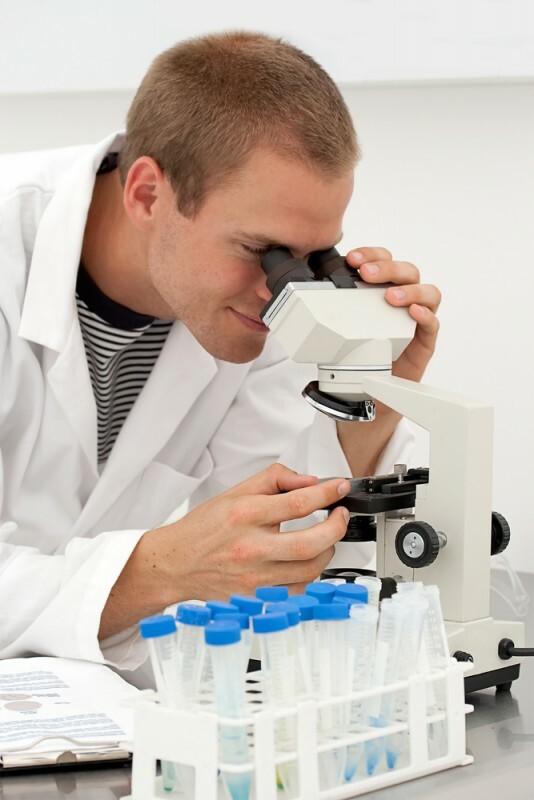 We review the lab findings with them and then create a customized, one of a kind health care program for each patient. They then start the first step on their program that will often have a few nutritional supplements and an eating program in it. We will follow up with them in a few weeks and then discuss their progress and the next step to their program which may contain an entirely different eating program. Since each person is unique it is their own personalized program. Are you searching for help with frustrating health and thyroid symptoms? I’d love to help. I work with many patients all over the world long distance (to learn more on that, click here). Thank you SO much Dr. 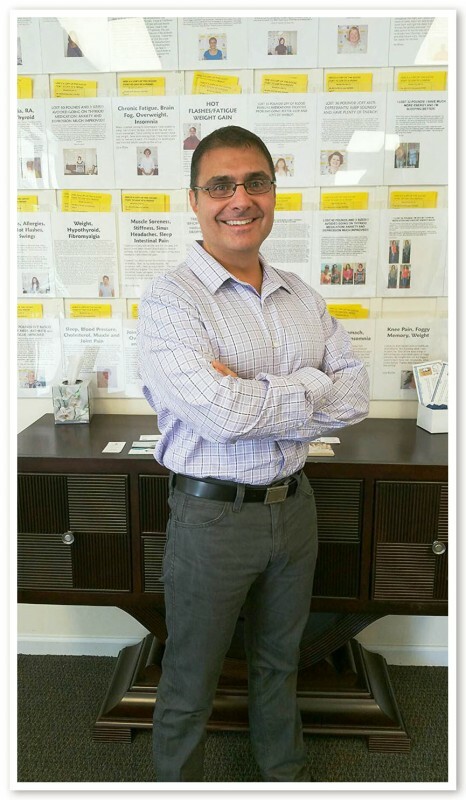 Rob for sharing your insights with us, and for your passion for helping others to achieve their best health. 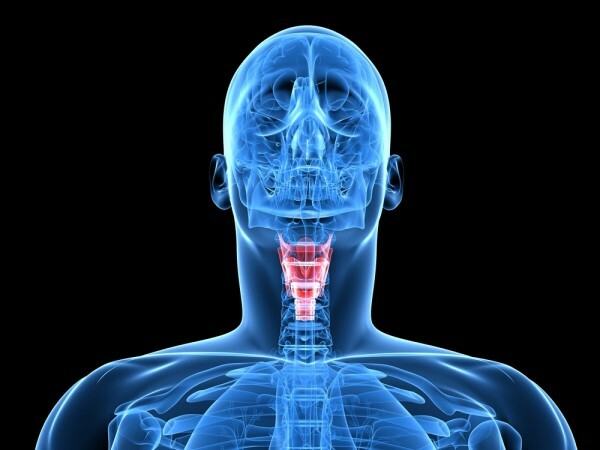 Want to know more about the thyroid? Feel free to ask Dr. Rob below in the comments. Hi Dr Rob, do you treat any of your patients with Westhoid Pure Natur, or armour? Thank you for sharing all this information. I have been to my primary care doctor who did a thyroid panel, as well as other blood tests, but everything came back in “normal” ranges. I asked both my PC and my OB/GYN to order a hormone panel, but neither will. I’m at a loss of what to do with all my symptoms. I did fill out the online health evaluation, and I hope that a phone consult will at least point me in the right direction. Gwen, thank you for sharing all this with us. It’s a great encouragement to know there is someone out there who possibly can help! Hey Dr Rob and Gwen! Would hypothyroidism still be at play if I have almost all the symptoms except weight gain? I actually have much more of a problem with losing too much weight (yes, it can be a real issue). Any thoughts appreciated. I have been trying to find out my whole life what has been wrong with me and have had several tests for my thyroid only to be told it was normal. My mother is on thyroid medication and so is my sister. I even tried to tell the Dr. that my sister told me to test T3 and T 4 and he assured me it was within normal range. So I dropped the topic and just figured the fatigue and back pain is just my life. In the last five years I feel I am in complete adrenal failure and feeling tremendous fatigue and leg pain with Edema. I have almost all of the symptoms on your site and have suffered hormone imbalance since I was 15 with extremely severe menstral craps which was treated with the pill. This I believe led to varicose vein surgery at the age of 22 one of which was the worst case the doctor has ever seen in a person of my age. I will be 50 years old in April and just figured it is menopause but lately feeling really low and overall depressed about having no energy to do what I want and in pain all the time. There is too much to list but I think this gives a brief overview of what I have been experiencing . I finally booked an appointment with Dr because my husband can see I’m not myself but I have no confidence I will get any help. I saw your article on Pinterest and decided to email you. How do we get in touch or find doctors in the area such as Dr. Rob. Hi Ana, I’m so sorry I’m responding so late to this post. I didn’t realize that people were still commenting. What can be done for those of us who received RAI as treatment for Graves’ or Hasi’s? I see every “ologist” there is and no one can help me achieve better health. Hi Beth, I’m so sorry I’m responding so late to you. I didn’t know that people were still posting. Autoimmune disorders have a cause just like all health problems. Many times it’s a toxicity or GI issue and other times it has to do with food sensitivities and other issues. I need your help. I’ve been on synthetic med school since cell 2014! NOT WORKING!!!!! Hi Tawnya, I’m so sorry I’m responding so late to this post. I didn’t realize that people were still commenting and I can’t personally get notified when a person does post. I’ll start checking more often. I had 90 percent of mythyroid taken out 8 months ago. I am feeling no better. My medicine has been changed several times. I still do not sleep, tired, mood swings, and gaining weight. My symptoms have not changed.I take levothyroxine 112. What questions do I need to ask my endo? I’m so sorry I’m responding so late to this post. I didn’t realize that people were still commenting and I can’t personally get notified when a person does post. I’ll start checking more often. I know it can get so discouraging to have health problems that are not resolving. 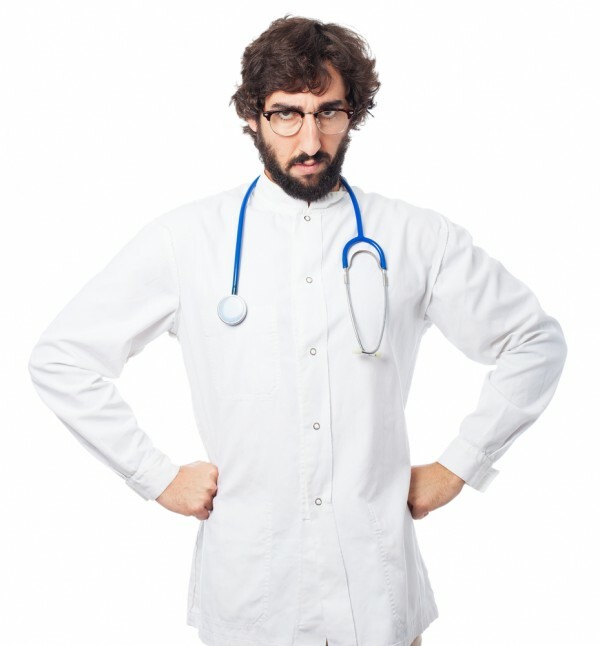 I’d ask your endo why you have a thyroid problem…..what caused it. Then ask what can we do to get my body to heal the problem. I am 54 year old female with a family history of thyroid disease (maternal g-mother w/thyroid cancer, mother w/hypothyroidism and tumors on parathyroid and father with large mass on thyroid). I have EVERY symptom of hypothyroidism and some strange symptoms that I’ve never seen listed. Could have some other issues besides hypothyroidism I suppose but at any rate, I feel like I dying a slow miserable death. I have a golf ball size lump on my thyroid and have had two biopsy that resulted in “suspicious but inconclusive”. My labs are always “beautiful” with the exception of high cholesterol but we all know that’s a symptom of hypothyroidism. Because my TSH is “normal” docs won’t do anything. Please help me. Thank you! Not every doctor understands how to diagnose or treat thyroid dysfunction…TSH is not in itself the only credible diagnostic test. With your family history and symptoms, I’d look for a practitioner who has more experience and success with thyroid issues. Hi Penny, I’m so sorry I’m responding so late to this post. I didn’t realize that people were still commenting and I can’t personally get notified when a person does post. I’ll start checking more often. I had thyroid canser and had my thyroid removed and radiation treatment, i still have problems most of all weight gain, i also have parathyroid issues. I would be interested in your opinion. Wow, sounds like you have been and are still going through a lot. <3 It helps SO much to work with a doctor who knows which labs to order, and how to read them. :) Best wishes for this being your year of progress toward recovered health! My endo put me on kelp, vitamin A, and B. I do not understand exactly why. Dr. ROB what do you think ? The person to ask that question to would certainly be your endo…..lol. Without a full history, lab review and good understanding of what is going on with your body it would be hard for me to say. Thank you so much for this information. I live in Madrid/Spain and wonder if you can recommend me a place where to go to in order to get a right analysis. Since many years I suffer from many of the mentioned problems, but every analysis that I got showed a nicely working thyroid. Thank you from the bottom of my heart for your answer. I actually have a patient that lives in Spain! I don’t know anyone over there but you can certainly work with us long distance. Just go to my website at http://www.alternacareinc.com and fill out the health evaluation. We’ll set you up on a secure video chat call. We have people that live in 14 other countries so this won’t be a problem. Do you accept insurance, or are you a strictly cash basis practishioner. I am lucky enough to have a holistic office near me, if I take them this article, would they be able to do the tests and create the diet I need? I have been thinking of trying them because my Doctor has ignored my complaints and have just told me I need to lose weight, which I have tried for four years and I just can’t . I had my thyroid removed 13 years ago. I take levothyroxine daily. As I understand it I am now hypothyroid, where before surgery I was hyperthyroid. I look just like the before picture :(. Also, my nails, which were always thick and very strong are now brittle and ridged. So, the info I read was about people with a thyroid. Is there help for me without a thyroid? Thank you for taking the time to share with us, and Gwen for hosting! I have the same question as another lady on here. Do you accept insurance? Is the lab work usually covered by insurance? Hi Dr. Rob, my father suffers from chronic pain. He is diabetic (not insulin dependent). He has been tested for numerous ailments and everything comes back negative. He is a Vietnam vet exposed to agent orange. He currently relies on pain meds, but they do not do enough to allow him to live the active life he longs for. He continues to gain weight. Do you think you’d be able to find the source of his pain? He said to me recently, “I’d really like to know the cause of my pain before I die.” It is very hard to convince him to explore new help when he has spent so much time and money resulting in continued pain and hopelessness. HI Dr. Rob! Trying to figure out what’s wrong with me at age 67. 38 years ago, I had 1/2 of my thyroid removed due to hyperactivity and a benign nodule. No meds were prescribed then or since. I’ve experienced exhaustion, fatigue, dry skin, change in taste buds, weight gain, and more recently, high cholesterol and BP. I’ve asked many PCPs along the way to do more specialized thyroid testing than the typical testing. None would do so, saying the regular test was normal. I just started going to a cardiologist who started me on some meds for the high BP, but symptoms I’ve reported to him have led him to think thyroid problems may be involved. He told me that it would be hard to control my BP unless we work with the thyroid too. So he ordered TSH and Free T4 tests. I haven’t taken the tests as yet but am truly hoping that my cardiologist can help me after checking out this info. I am concerned that, if the tests come back normal, I don’t know where to go from there. I haven’t felt really well for a very long time and if there’s a possibility that my thyroid is what’s contributing to my overall malaise, I’d surely like a shot at it. My daughter is due with her first child in January and I’d really like to feel better so I can enjoy and be active with this baby. Any feedback you can provide would be greatly appreciated. Thank you. How much will it cost to find out what is wrong with me? I don’t know if you have considered this in your research, but my experience has been related to water quality. I have had to live in Iowa for the last few years in order to settle a relative’s estate. At first I was drinking the tap water here, filtering it with a filter pitcher, thnking that was all that was necessary. 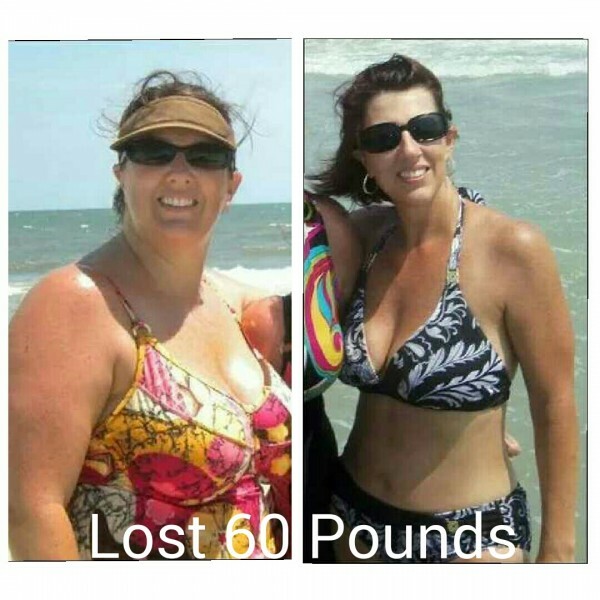 I began to have serious health problems, such as weight gain, hair loss, thinning eyebrows, papery skin, reversed menopause (including horrendously heavy bleeding) and excessive sleep–up to 20 hours a day. I don’t have a doctor down here no insurance coverage to be seen here. I didn’t chalk it up to the water until our goldfish turned from bright orange to silver. The pet store told us to test the water with a specialized kit, and the nitrates were OFF THE CHARTS–40-80 parts per million, FAR above the “dangerous” level in humans (10+ parts per million). After we discovered this, we started using only spring water that we purchased, and knew the source of. I got a lot better, and so did the fish, but I have never returned to the health I had before this happened. I’m slowly trying to work my way back to “my old self” using holistic/herbal methods. NOT easy. Taking kelp helps a lot, and I’m working with green tea, hemp oil flax seed oil, and trying to eat a diet of foods that help the thyroid. Have you included investigating water quality in your research, and if so, what have been your findings? I’ve had thyroid problems from age 21 on I am now almost 59, and I’m not sure my pcp is treating it properly. However I don’t make a lot of money so my question is how much does all this cost? I have all the symptoms! Please help! I’m losing my hair ???? When I am not hungry or skip meals too often, my metabolism tanks out. Also what natural remedies could I take to help my thyroid? Dr. Rob; The picture is of me that you have there! The problem is they removed my thyroid and than my Dr. Said that there were enough pieces that I didn’t need my meds so took me off ! My hair fell out I gained a 100 pounds that I can’t get rid of I’m back on meds ! I’m now in pain above my kidneys !! Help me, please!!! I have many, many of the above symptoms and my Dr. has told me all of my levels are “normal”. I am on thyroid medication. How can I sign up with you? Would like to find out how to get the test. Please help me! I take thyroid meds (120mg armor) and i still have ALL of the symptoms. No matter what i do i cannot lose weight…i am losing my hair really badly etc. Like i said i have all the symptoms. What do i do? Can you help me? Im exhausted all the time and i can’t remember anything. I’m tired of feeling like this. Please! I’m experiencing the above symptoms of Hypothyroidism, however I was diagnosed with Hyperthyroidism in 2010 with normal TSH readings……please help! If I am interested in your services where do I go to connect? Just a couple questions. Dr Rob, you seem very knowledgable in thyroid disease. Where did you attend medical school? Are you board certified in endocrinology? A recognized member of the American Thyroid Association? It seems fair to provide this information to the readers prior to giving medical advice. What if you don’t have a thyroid? Mine was taken out because of thyroid cancer. I am interested to explore if I have this problem as I have been struggleing for a long time now. How do we move forward and what are the prices please. I have several of the for mentioned markers and have had negative lab testing from my pcp. I am interested in finding out the cost and more information. After reading this I’m convinced something is wrong with my thyroid. I have had it tested several times and everything comes back normal but I’m tired, down in the dumpers, lots of weight gain, hair coming out, etc. I hired a trainer and a Nutritionist to help me lose weight but I haven’t lost a lb and it’s been over 7 weeks. I ate fairly healthy prior to meeting with nutritionist and she confirmed but just made some minor changes. Anyway, I had a cell test and it turned out I was gluten intolerant, so I have done my best to eliminate it completely from my diet. I would love to know if there is someone locally I could go see to get to the root of the problem. Please any help would be appreciated. What do you go off your pills ,or what do you take? How to loose weight my problem. I would love for you to help me as I feel as though this article was about me…I have every single one of those symptoms with a normal TSH. I really need the help, anything you can do would be most appreciated. This will help us get more information about your body. We can then do a Free Consultation and cover the results and explain more on how we can help, costs and answer any additional questions. Great article and it’s true – my GP doesn’t want to go beyond “prescribing Levothyroxine”. I’m on it but not feeling any better and still have lots of symptoms. I would like to get on a programme which will help to get my body back to its natural state of health. Just doesn’t seem to be anything here in the aUK! I have had my thyroid removed due to a multi no dial goiter. It has been at least ten years and I still feel terrible. Weight gain depression pretty much all the symptoms lisited. I am on 137 mcg. Of levothyroxine and my doctor will not increase the dose. I am at a loss as to what to do. This will help us get more information about your body. We can then do a Free Consultation with my Certified Nutritional Counselor and wife Pam and get the full picture. Based on this we can let you know if we could help and what we could really do. I’ve been referred to an endocrinologist since the thyroid medication I’m currently taking is not getting us the results were looking for. Please share with me how I may learn more about your treatment costs, etc… thank you very much. I greatly appreciate the effort you make to help so many. Please fix the spelling errors. It’s hard to take a supposed medical article serious when there’s spelling errors. Also can you back up your claims with scientific evidence? What do you recommend that I do . This will help us get more information about your body. We can then do a Free Consultation and cover the results and explain more on how we can help. The great thing is right now we have a tremendous amount of discounts available to new and existing patients. . I would love to try something new. I have taken Synthetic for 25 years…. I still struggle and can’t seem to lose weight or feel good. I feel like I fall under most of these symptoms. I was diagnosed with hyperthyroidism. As ive read the this article.. symptoms are the same? Would like to know the difference of hyper and hypo? Hope you could give clarification on this. Hi Grace, Hypo is an underproduction of T4 and Hyper is an overproduction of T4. For some patients they can have very similar symptoms due to a phenomenon called receptor up and down regulation. There are connections between the liver and adrenal that can sometime contribute to the similarity of symptoms. DR. ROB, I LIVE IN ARIZONA AND JUST GOT DIAGNOSED WITH HASHIMOTO’S AND HAD A HYSTERECTOMY A YEAR AGO, AND NOW THE SYMPTOMS ARE INTENSIFYING AS I FEEL I MAY HAVE BATTLED THEM MY WHOLE LIFE NOW THAT I AM REALLY DOING RESEARCH(WEIGHT GAIN, FATIGUE, BONE AND JOINT PAIN, THIN HAIR, ACNE, DEPRESSION, MOOD SWINGS AND LACK OF ENERGY TO WORKOUT AS I HAVE BEEN AN AVID RUNNER FOR 5 YEARS). I WENT THROUGH A BAD DIVORCE 5 YEARS AGO AND WAS AT 285 LBS. I LOST 100 LBS AND HAVE NOW GAINED 30 POUNDS BACK, EVEN THOUGH I AM A WORKOUT-A-HOLIC. I AM FIGHTING FOR THE ENERGY JUST TO GET THROUGH MY DAYS. I NEARLY THROUGH IN THE TOWEL UNTIL I BEGAN READING THIS PIN ON PINTEREST. PLEASE, ANY HELP I AM GRATEFUL FOR! I’m so sorry that you have been going through all this. I can tell that you have really been struggling. I work with patients in Arizona all the time and my aunt, uncle and cousins live in Mesa I believe. I would be happy to work with you. The first step would be to go to my website and fill out the free online weight and health evaluation. Then Pam, my wife and Certified Nutritional Counselor, will call you to take your history and review your health evaluation to explain more on how we can help. Also, this time of year we have all types of specials which would be great for you. I hope we start helping you soon! How is it possible to have a TSH of 0.5 but not be losing weight? There are various hormones that cause you to store or burn fat. Sometimes it has nothing to do with the thyroid but with these other hormones. There are many other factors that can impair a person’s ability to lose weight. Basically, if you are not losing weight there is something wrong with your body. This will help us get more information about your body. We can then do a Free Consultation and cover the results and explain more on how we can help, costs and answer any additional questions. 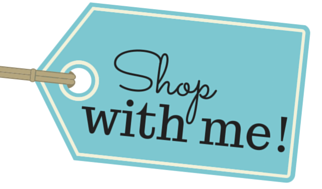 The good thing is this time of year we have a tremendous amount of discounts to make care more accessible to everyone. What kind of meal plans are involved? Will I have to get special stuff from 5 different stores? That is probably the most frustrating thing when it comes to weight loss or being on a meal plan for me. I need to loose about 80 pounds and have been on thyroid meds for about 8 years. I have many of the symptoms described abouve. Hi Doc I’m having all these problems and more,so what can be done for me?im on levothroxyn but had radiation treatment at the beginning so now what’s going to happen next can I ever feel better and loose weight? You can get in touch with Dr. Rob at his website, and fill out a health evaluation for a consultation with someone in their office. I have been diagnosed with hypothyroidism and am currently taking 100mg of levothyroxine. I am still overweight and tired. How much does this actually cost. Please help. Why am I breaking out in sweats all day? I take medicine for my thyroid and I still have symptoms. Do you have a recommendation for a diet for this thyroid problem. I do not eat meat or chichen for about 46 years. I don’nt know if this website is still active. The last post was 2015. I’ve taken an unplanned hiatus from my blog, but I’ll be back. I would not consider diet to be the primary way to approach thyroid issues. The thyroid is a responsive gland, so unless there is actually a problem with the gland itself, you’ll want to find out what is causing the body to downregulate your energy for other things. Often, it can be an infection. Diet may play a part in an overall plan for recovery, but it’s not in and of itself the key. Hi Dr Rob . I live in South Africa . In December 2016 i was admitted to hospital with severe headaches etc . They did brain MRI , neck MRI , bloodtests like crazy . It was discovered i have sleep apnea . I now have a apap machine . Ive had a few ecg heart stress tests . All comes back ok . I feel fatigue and dizzy almost all the time . Ive ask for a thyroid test and im told its all ok . Euthyrodism they say . Please advise . Please reply to my email.